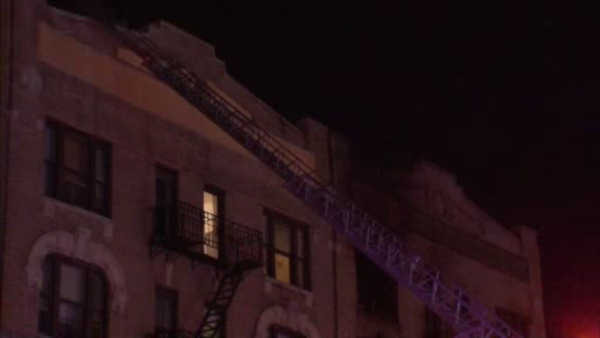 HUNTS POINT, Bronx (WABC) -- An 85-year-old woman is in serious condition after a three-alarm fire in the Bronx Sunday night. Flames ignited on the top floor of a five-story residential and commercial building at 10-38 Southern Boulevard in Hunts Point. Officials say the fire started in the elderly victim's apartment. People in the building next door were evacuated as a precaution. The Red Cross is now helping 16 families displayed by the fire.